Advocacy is more than just aligning yourself with a cause-it is making an impact on the lives of those that need it the most. Growing up in the South Bronx, Mr. Dominguez developed a keen perception of the systemic cycles that prevent communities from enjoying a safe environment in which to prosper and raise children. Fueled by his past experiences and driven by his desire to do justice, he rose from difficult circumstances and worked tirelessly to position himself to become a voice of the voiceless. Mr. Dominguez began his career as a social worker serving the mentally ill and homeless here in Atlanta. After law school, he began his legal career as a law clerk for then-Chief Judge Anne Elizabeth Barnes of the Georgia Court of Appeals. Later, he became a criminal defense attorney, before leaving his practice to become a state prosecutor. As a prosecutor, Mr. Dominguez acquired significant jury trial experience. Despite his tremendous success trying and convicting those individuals terrorizing the community, he acquired a reputation for being a conscientious prosecutor, discerning in creating opportunities for those in need of a second chance. His work as a prosecutor spans several metro Atlanta counties, including Rockdale, DeKalb, and Clayton; allowing him the honor and distinction of becoming the first Latino prosecutor in the history of those judicial circuits. Mr. Dominguez later transitioned to civil practice, joining Thomas Kennedy Sampson and Tompkins LLP as defense counsel for several major corporations and insurance companies. Today, he specializes in personal injury, negligent security and civil rights cases as a trial attorney with Morgan & Morgan Atlanta, where he has carved out a reputation for turning traditionally under-valued cases into six-figure judgments. 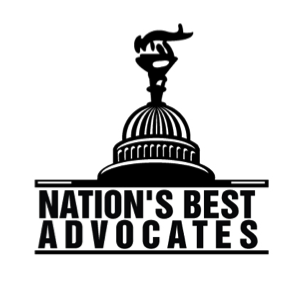 As a trial attorney at the largest Plaintiff’s firm in the country, Miguel still managed to stand out, having tried the most jury trials in the Atlanta office during 2017-2018. Miguel is most passionate about his work fighting on behalf of victims of violent crime, who have been seriously injured or killed in crime-ridden neighborhoods, while apartment complex and motel owners profit. Mr. Dominguez is an absolute game-changer in the courtroom, but he is equally as fierce out in the community. Known as an attorney-activist, Miguel serves as an advisor to Atlanta Mayor Keisha Lance Bottoms as a member of her Progressive Agenda Working Group and as co-chairman of her Commission on Criminal Justice Reform. Always mindful of his own humble beginnings, he provides pro bono legal services to youthful offenders, using his experience as a prosecutor to provide at-risk youth a second chance at becoming productive and successful members of society by way of having their criminal records expunged. Miguel is also frequently asked to speak at schools, youth detention centers, and gang summits, sharing his experiences as an at-risk youth turned lawyer, community leader, and father; constantly challenging young people to dream well beyond their immediate circumstances. Mr. Dominguez also works closely with DeKalb Volunteer Lawyers Foundation providing pro bono legal services for victims of domestic violence. Mr. Dominguez has been admitted to practice before the Supreme Court of the United States of America. He has served as a past-president of the DeKalb Lawyers. 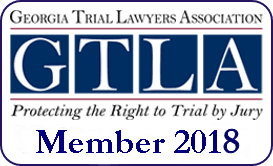 Miguel has been recognized as one of Georgia Trend Magazine’s 40 under 40 Best and Brightest, Super Lawyers’ Rising Stars, National Bar Association’s 40 under 40 Nation’s Best Advocates, DeKalb Lawyers Association’s 2018 Legal Warrior, Latino Leaders Magazine’s Top Latino Lawyers in the Country and one of National Trial Lawyers Top 40 under 40 Plaintiff Trial Lawyers in Georgia. But above all else, Miguel is a dedicated friend and family man.